Anna Brookes also known by her Professional name 15, did what she had never done before. She didn’t kill her target, HiT 149. HiT 149 better known as Ben Pearson did something he had never done before. He fell in love with Anna Brookes. In Hit for Freedom, the sequel to HiT 149, a nemesis so powerful, terrifying and frightening is threatening the safety of Anna’s love, Ben and his hometown, St Cloud. 15 must deal with a force that may be too dangerous even for her skilled ways. With limited information on her new HiT, she willingly infiltrates his trust to acquire the knowledge she needs to implode the operations of the deadly man. I was recently described by a reviewer as my writing style is Chick-Lit with an Edge. I liked that so much that that's the way I describe the genre I write. My goal when writing is just to take people away from whatever is going on in their lives, even if it's only for a split second. I love my family and friends and will help anyway I can if someone needs it. Every Friday I spend it with my girlfriends where we have 'cake day', which usually consists of a yummy yet nutritious lunch, quickly destroyed by a delicious and devilishly good cake and a caramel latte. I really don't like people that are nasty just because they can be, I don't believe that's necessary, I mean life is hard enough as it is! My emotions are all over the place and if I don't get the next book I'm seriously gonna go crazy. Seriously, I do love Margaret McHeyzer,she drives me nuts. It'e her hobby to mess with peoples minds. Usually in books I can predict what's about to happen even sometimes in real life. But EVERY SINGLE TIME I read one of Margaret's books I have no freaking idea what's about to happen. I also don't know what to expect at all. Especially after reading My Life For Yours, I have absolutely no idea what to expect. In Hit 149 I seriously thought Ben would die. But he didn't and it ended with Ben being something I don't know what. Anyway Anna is ranked first in the most badass female character I have ever met. Seriously I just love her!! GIRL CRUSH!! I love her I-can-kill-you-in-a-blink-of-an-eye attitude. Seriously, BADASS!! I think I may have said seriously a little too much. Anyway I love it when she's like breathe in, breathe out, FACADE ON. She's like a super badass assassin with a multiple personality. And the serpent bite that she feels is just AWESOME! I want something like that. In this book we meet Katsu Vang. I think I might actually like this guy if he wasn't so freaking evil. He's hot, sweet at times, protective even if it's overly. He's an alpha male, that is just pure evil. I love it EVERY SINGLE TIME Anna thinks Yuck (seven times). Ben's really cool and all but I just really like Anna better. Like 100% more. If I had to choose one between Ben and Anna. 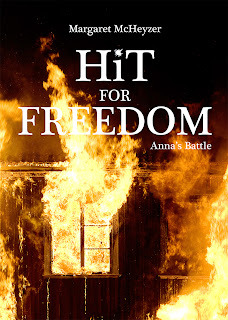 I'm team Anna. Yes, I have a girl crush on her. :) but she's just sooo AWESOME!! !